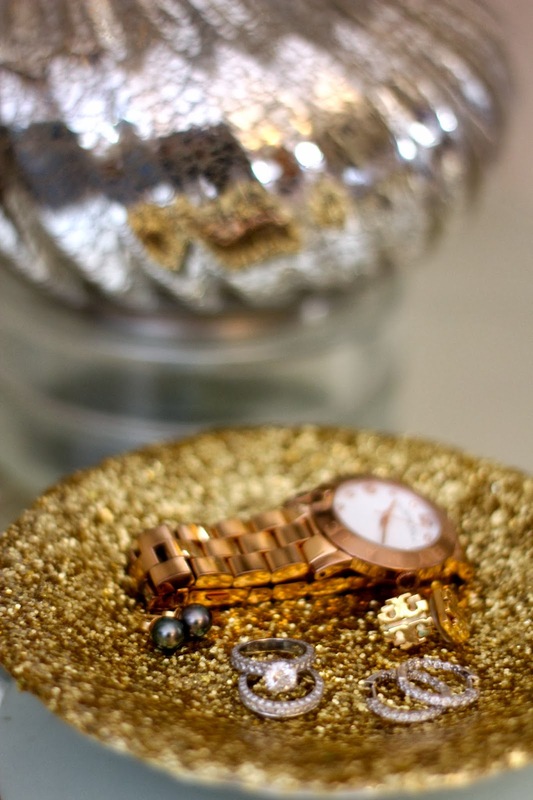 I have been searching for a jewelry dish for my nightstand for years. Without one, my jewelry sat in a tangled mess and many stray earrings fell to the floor and panicked searches would ensue. Sure, there are plenty of really cute options out there. However this need would only come to me when I saw the mess before and after bed, and I always forgot about it when I was out shopping. 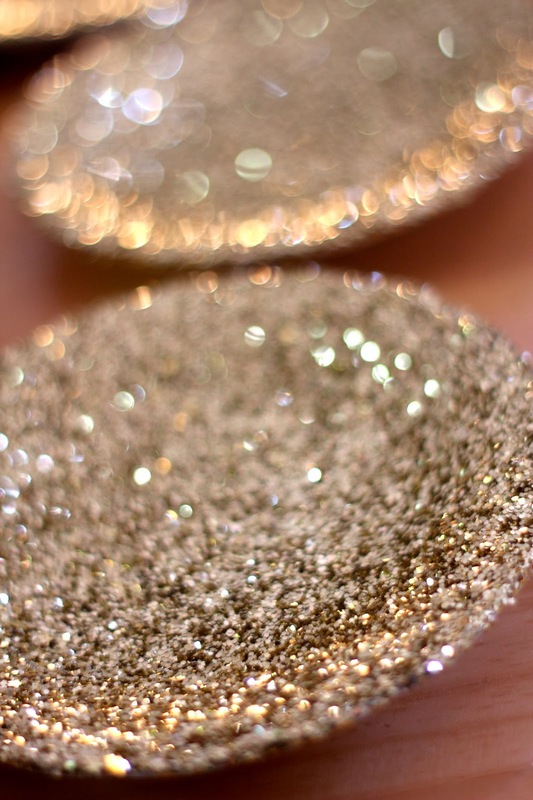 So when my friend Wendy wanted to do a DIY project with me and suggested this glitter plate, I couldn't say yes fast enough! We found the plates for 99 cents each at the local Goodwill. We couldn't find the triple thick glaze, so we used glossy Mod Podge instead. The key is to allow everything to dry completely before applying more layers of glue and glitter to ensure good coverage. Otherwise, you'll just be pushing clumpy glitter around. The Mod Podge goes on white but dries clear. The more coats you do, the smoother the finish. We quit after 2 layers of glitter and 3 coats of Mod Podge. Patience is not one of my virtues.